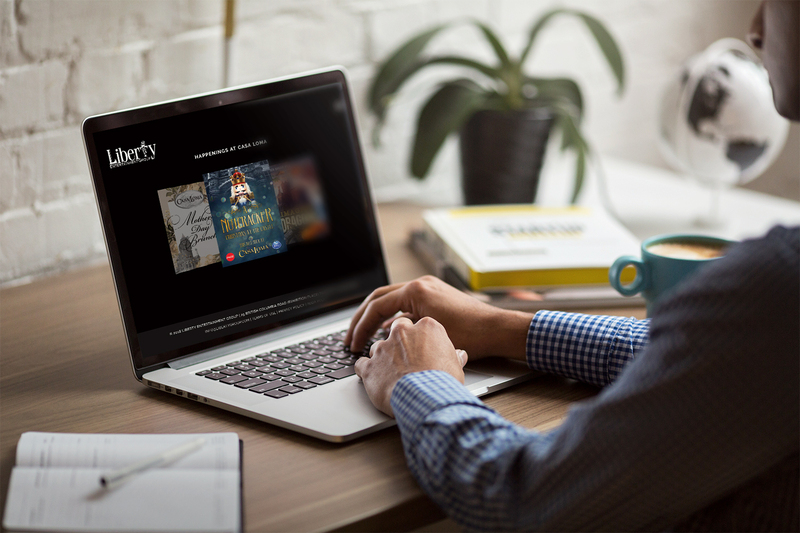 The corporate website redesign for Toronto’s hospitality powerhouse Liberty Entertainment Group. The Liberty Entertainment Group is synonymous with nightlife and hospitality. With over 13 venues in Toronto and Miami, Liberty Group brings cutting edge hospitality to two of North America’s most influential cities. When Liberty Group needed to update their corporate website, they came to us! Awesome! We love cutting edge. Toronto Creatives has been Liberty Group’s go-to design agency for a number of years and we’re extremely proud of how the project turned out. 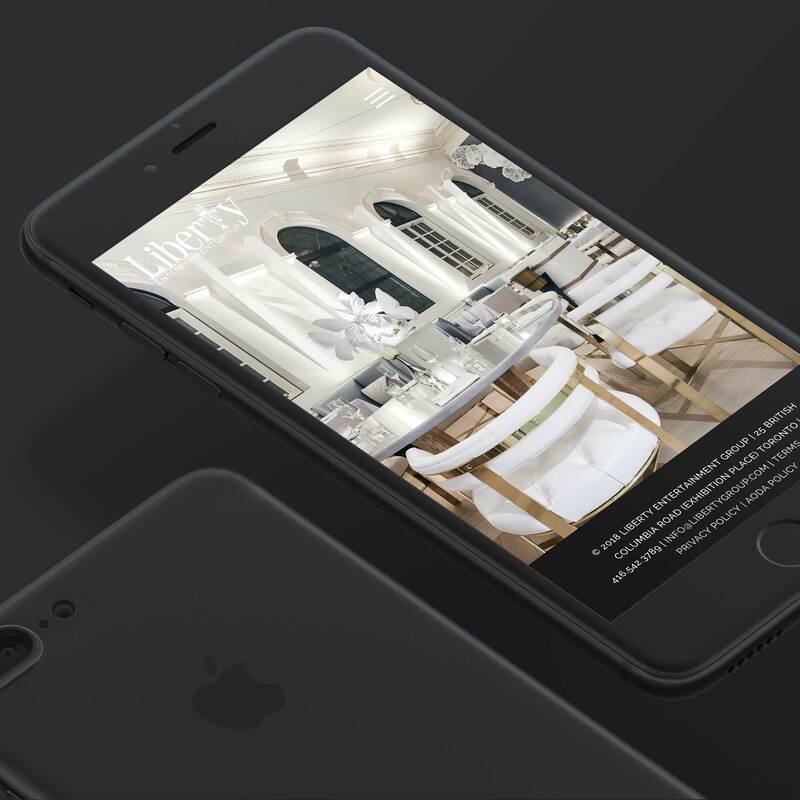 A reimagined user experience and attention to interface detail across all major devices was important to this project as the core principle of Liberty Entertainment is selling a full experience – not just a meal, a night out. As they knew and we knew, a journey out to dinner can often begin with a visit to a website. 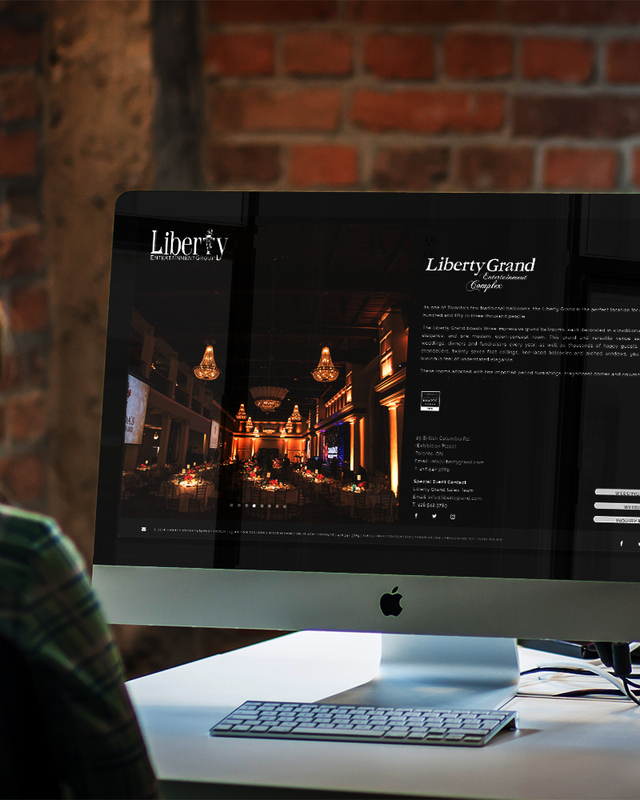 When we created the layout design for the new libertygroup.com, we wanted to create an experience. It was an incredibly opportunity to experiment with the UI/UX as Liberty Group has a diverse set of venues and it’s hard to nail down a particular style. Elegant-modern-lux(?). Everything needed to flow and be beautiful, but easy and intuitive to navigate. We chose a black canvas as a base and experimented with minimalist layouts from there – the venues are stunning so there was no need to compete with them on the screen, only to showcase them as much as possible. The Liberty Group website is incredibly responsive and a meticulously-customized WordPress build; with a customized client facing content management system for easy updates. Visit LibertyGroup.com to see the site in action!